This is the second in a three-part series. Part One is here. Most of the information in this series of posts is specific to the Kindle line of e-readers and the Amazon bookstore. In Part One, we looked at an overview of some of the problems that can be caused by having too many books on your Kindle or Kindle Fire. The same is true of the Kindle for PC app for your computer or mobile device. While this is just as true for paid books as it is for free ones, the nature of free tends to tempt us to overload our Kindles. It is also interesting to note that even if a Kindle is not actually malfunctioning due to too many books (freezing, inability to download or highlight,etc. ), many people find that as they get more and more books on their Kindles, the device runs much more slowly (slower page turns, slower search, etc.). So how do we deal with this? The answer is not to avoid free books! There are some great bargains in the free offerings and I have discovered some tremendously gifted authors through their free books, authors such as Hugh Howey, Keith C. Blackmore,and many others. What we can do is choose more wisely what books to put on our Kindle. Why is this important? Because the best way to organize is not to put books (paid or free) on the Kindle in the first place that you are ultimately not going to read. Think of it as pre-organizing and a way cut down on the Kindle clutter. Keep lists of the books you want to read: This is as simple and as old-fashioned as it gets. Write down the name of the title and the author. You can make this as low tech (pen and paper) or as high-tech (MS Word, Evernote or even Notepad for the Kindle) as you are comfortable with. Personally, I use Evernote and have a TBR note where I jot down the title and author, a link to a buy page or the review that first caught my eye. That way, I don’t forget about the book, but don’t have to download the sample to remember it. I can then check the book out at my leisure. Recommendations: Nowadays, the free books offered on any given day normally number in the hundreds. There are a lot of websites that list free books (EreaderIQ, Kindle Nation Daily, Books on the Knob, Pixel of Ink and many, many others). An internet search for free Kindle books will bring up pages of blogs and curated lists that can help you find books that interest you. Most of these sites give you the ability to search for books in certain categories and genres. Amazon lists the top 100 sellers, both free and paid. Don’t have time to search through hundreds of free books to find what you like? There are also a lot of places you can get recommendations for free books without having to sort through the listings. Most genre groups on social networking sites like GoodReads and Shelfari have a place on the message boards that is dedicated to free books of that particular genre. And if you are looking for a particular author, check their blog, website or Twitter account: Most authors who offer their books for free on the Kindle let their fans know. Read the reviews: This is especially important for people who like to find books, then wait to find them free. Good, honest reviews can help you make a decision about whether to download a book or not. Yet, given some of the recent controversies over fake and purchased reviews, it can be difficult to know whether to trust them or not. If you are unsure, click on the reviewer’s name and check out the other ones that they have written. Look for warning signs: all reviews for the same author, all five-star reviews, or if tis is the only item the person has ever reviewed. Ultimately, remember that reviews are simply the opinion of the person writing the review. Read the samples: Often, reading the sample of the book can give you a clearer idea about whether you will like the book or not. Do you like the writer’s style and syntax? Are there grammar and spelling errors? The sample can give you an actual feel for the book. 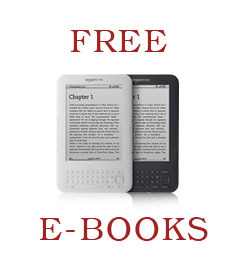 With free books, however, you do not have the opportunity to send a sample to your Kindle or your app. However, you can still read the sample on your computer by clicking on the Look Inside feature. And, using the feature means that’s one less sample cluttering up your Kindle. Here what it looks like for the The Man Cave Cookbook, which is free periodically. Sometimes, however, samples can cause as many problems as they solve. Some people have pages and pages of samples on their Kindles. Those samples take up space and memory and must be indexed, just like books. In other words, too many samples can cause the same problems as too many actual books! Fortunately, there are several ways to help organize your samples. One method is to send all your samples to one place. That can be your Kindle app on your computer or phone. That way, you can read a sample when you have a spare moment to read, but not enough time to get immersed in an entire book. If you have more than one Kindle, you can designate one for all your samples. If you want to keep your Kindle totally uncluttered by samples, you can send them to the Cloud Reader instead of your Kindle. As seen in the picture below, samples on the Cloud Reader show their covers, which can give you a visual jog to help you remember the book. In Part Three, we will discuss organizing your TBR pile, including more ways to organize books you haven’t even downloaded yet. Note: Due to a family emergency, part 3 was never written. This entry was posted in eBooks, Free, Kindle, Tips and tagged free books, Kindle, organize. Bookmark the permalink. If you send a sample to the Cloud Reader, does it remain there, or is it only in view temporarily, until you exit the site? Have any suggestions about what I can do with all the pages of samples I already have on my Kindle? Jan, you are not a pain! Questions are always welcome. The samples do remain on the Cloud Reader until you delete them, just like on your Kindle.